The junior set Maine records in the high jump and triple jump and earned All-America honors. 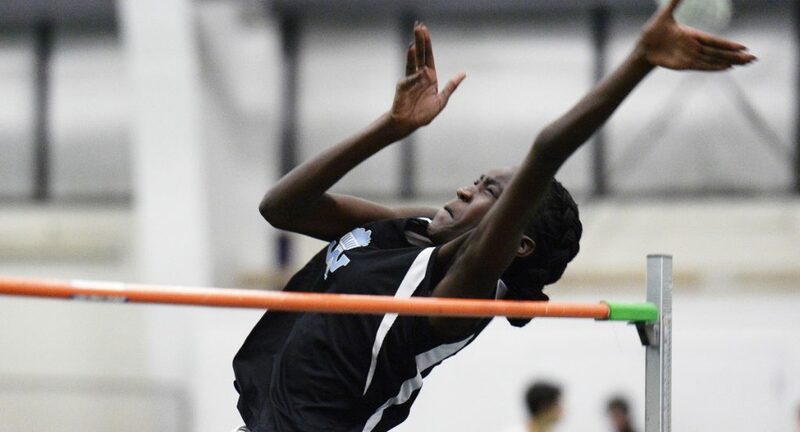 WESTBROOK — Nyagoa Bayak’s greatest accomplishment this season was not earning All-America honors in the high jump or winning the New England title, or even improving Maine’s all-time best mark in her two events – the high jump and triple jump. Bayak’s greatest satisfaction this season was overcoming the mental block inherent in an event where mind games can ruin an athlete. In the New England championships, Bayak cleared 5 feet, 10 inches in the high jump for the first time to claim the title for the second time and push past the elusive mark she chased all season. This indoor track season, Bayak won the Class A high jump title with a state-record jump of 5-8 and also won the triple jump (36-5 1/2). At the New England championships, her 5-10 clearance improved the all-time Maine best mark of 5-9 she set in January at the Dartmouth Relays. 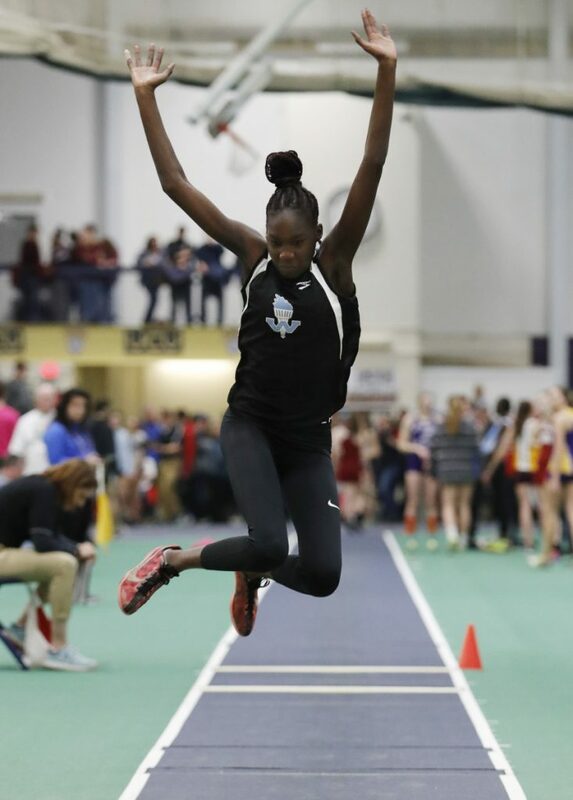 Finally, at the New Balance Indoor Nationals in New York, she took third in the high jump by leaping 5-8 3/4 and set a Maine best in the triple jump (39-1 3/4), beating the mark of 38-6 1/2 set by Shelby Tuttle of Waterville in 2008. For all of those accomplishments, Bayak is the Maine Sunday Telegram girls’ indoor track athlete of the year. Pushing past the mental block of a height she knew she had the physical ability to clear is proof to Bayak that she can do even more. Bayak said she has a tendency to rush in the high jump and did just that at the New England championships. Rather than take a few slow breaths as she typically does, she went right into her first attempt and hit the bar at 5-5, which for her is normally an easy starting height. The 6-foot Bayak calmed herself and slowed down. Then she cleared 5-7 on her first attempt and 5-9 on the first attempt. She was in the zone. When the bar went to 5-10, she already had the win but wanted the Maine record. She cleared it on her third attempt. At national a week later, Bayak attempted 5-111/4 for the first time. Of the three athletes remaining at that height, Bayak said her jump came closest to clearing the bar. “I felt solid,” Bayak said with a smile. “I felt myself go over the whole bar, and just my calf nicked it. Bayak also sees herself improving quickly in the triple jump. At nationals, for the first time, she ran hard into the first phase of the event’s hop-skip-and-jump takeoff and became the first Maine girl to jump 39 feet. “I felt good. I pushed the run-up and that first step,” Bayak said.